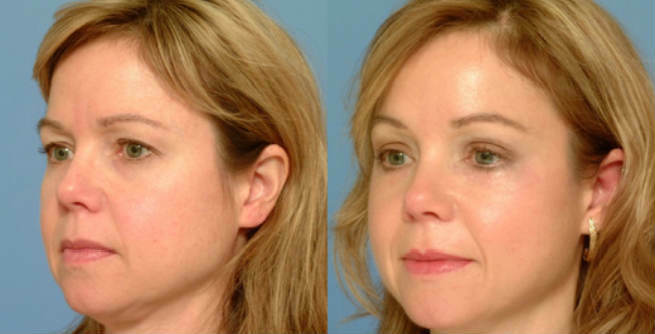 Brow lift, also known as forehead lift, is a surgical procedure in which the upper section of the face is made more youthful by eliminating the tissues and muscle fibers underlying the skin of the forehead. It offers a delicate lift to the skin of the temple areas, fixes the shapes and positions of sagging eyebrows and enhances the appearance of facial lines, thereby reducing wrinkles and creases across the upper part of the face to a great extent. At first four incisions (each should be of a little less than 1”) are made at the rear of the hairline of the patient in order to elevate the skin gently and expose the underneath layers of tissues as well as muscle fibers. Four endoscopes are also inserted in the incisions so that the view becomes absolutely clear. Now, excess skin and fatty tissues are discarded by the surgeon followed by a precise muscle rearrangement. The skin around the eye brows are lifted to a new position and the incisions are closed horizontally with permanent sutures for giving a smooth and young-looking forehead. The entire procedure needs only a couple of hours and it can be performed almost anywhere. The features that you should have to be considered as an ideal candidate for brow lift are good health, no smoking habit, no uncontrolled medical condition, low or sagging brows, heavy brows, uneven lines between eyebrows right above the nose, deep creases throughout the forehead, and so on. It gives a youthful appearance by removing signs of aging and making the skin firmer in the forehead and brow areas. The final outcomes of the surgery take more or less 6 months to become visible. However, the scars start to heal after 3 months of undergoing the procedure. A post-surgical discomfort including swelling and numbness will remain for 2 to 3 days. You might need to keep your head elevated during this period in order to prevent further inflammation. You need at least 1 to 2 weeks to resume your regular working schedule. Moreover, you have to stay away from sun exposure as well as strenuous activities for the next 3 months. 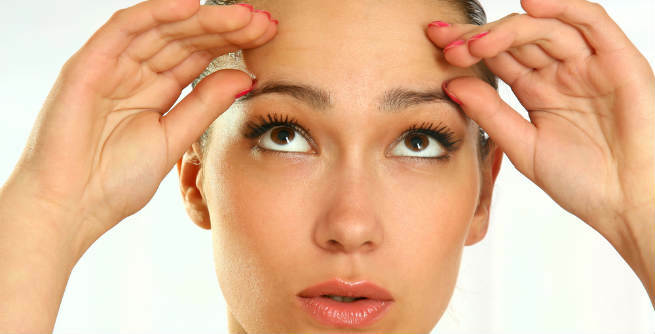 Common risks and side effects of brow lift surgery include infection, allergic reactions,bleeding, scarring, numbness, hair loss (frontal part), change in hairline, forehead lag, lagophthalamos, change in the shape of brows, asymmetrical lifts, skin necrosis, alteration in facial expressions, hematoma, etc. Offers perfect lift to drooping eye brows so that they look totally natural. Makes the face even more youthful. Gives a happier and more approachable appearance. Eliminates signs of aging and smoothens the temple areas. The average cost of a brow lift surgery is more or less $5,000.